Here is an attractive antique English manufactured percussion double barrel.. 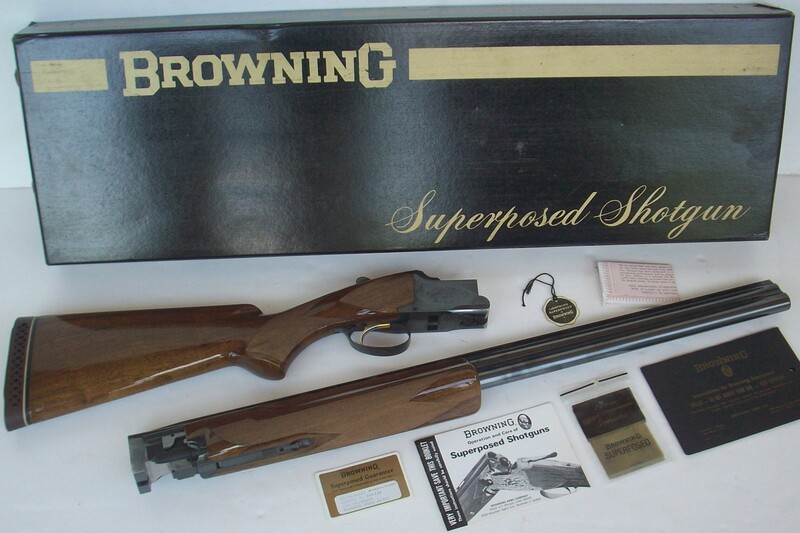 Here is a near new Belgium Browning Superposed over / under Trap shot.. 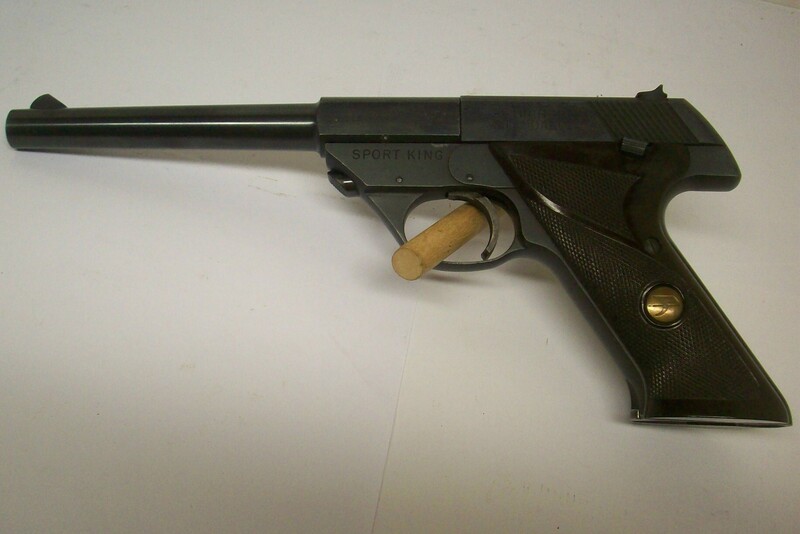 Here is a Belgium Browning T-2 T-Bolt rimfire rifle in 22 LR caliber with a.. Here is a very clean Beretta model 1934 semi-auto pistol in 380 Auto calibe.. Here is a Browning BDA semi-auto pistol manufactured by the Sig-Sauer Syste.. 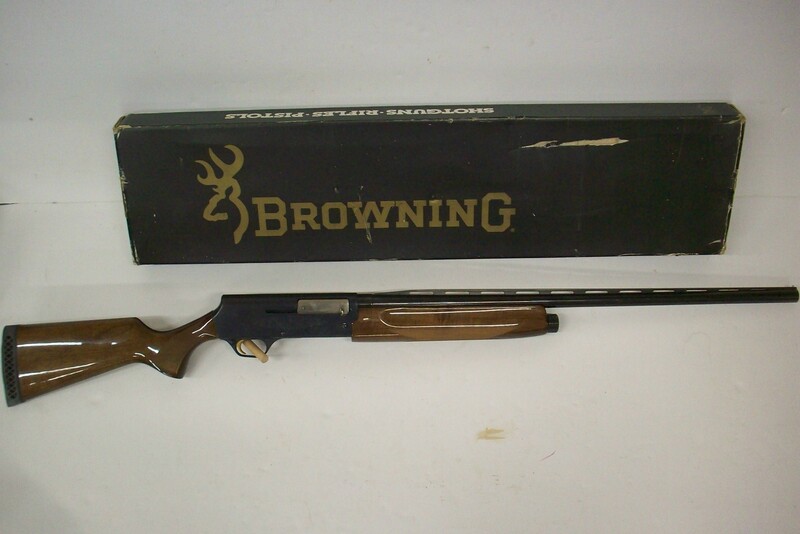 This Browning manufactured A-500 semi-auto Field grade shotgun is in 12 gau.. 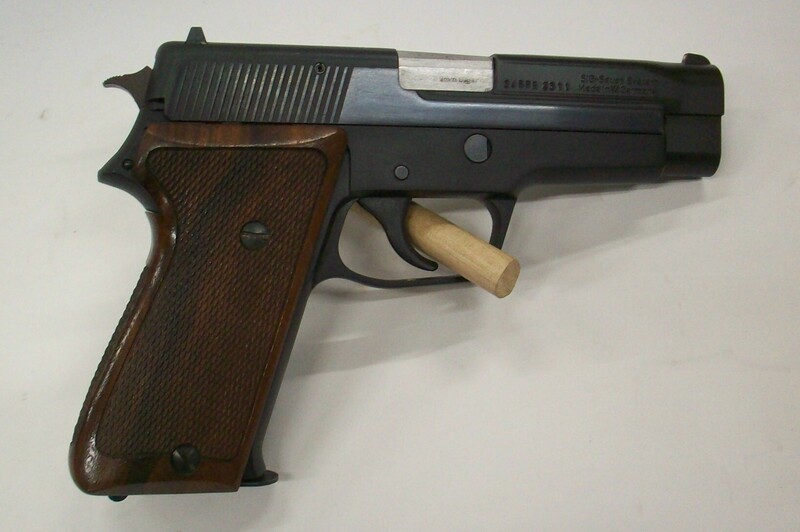 Here is a very nice Colt Challenger semi-auto pistol in 22 LR caliber with .. Here is a Colt model 1908 Hammerless semi-auto vest pocket pistol in 25 ACP caliber with a 2" barrel.. Here is a very attractive Colt model 1908 Hammerless semi-auto Vest Pocket pistol in 25 ACP caliber .. 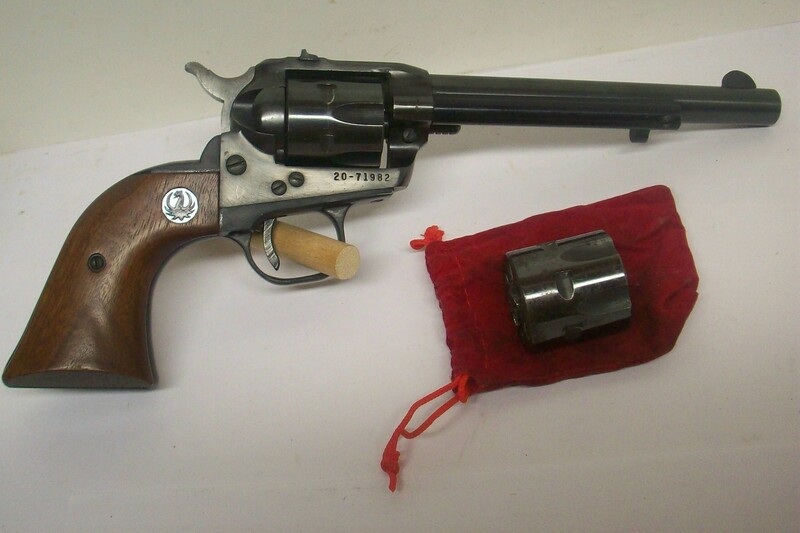 Here is a very nice Colt Police Positive double action revolver in 38 Colt .. 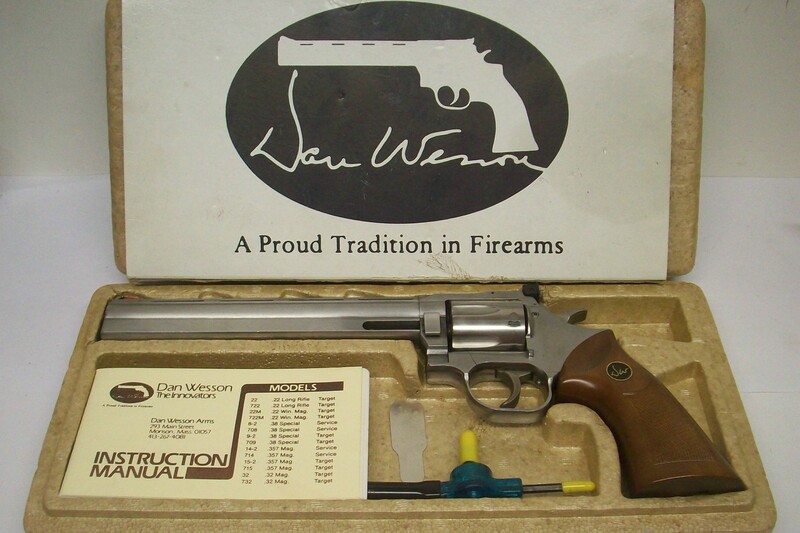 Here is a very clean Dan Wesson model 732 double action revolver in 32 H&am.. 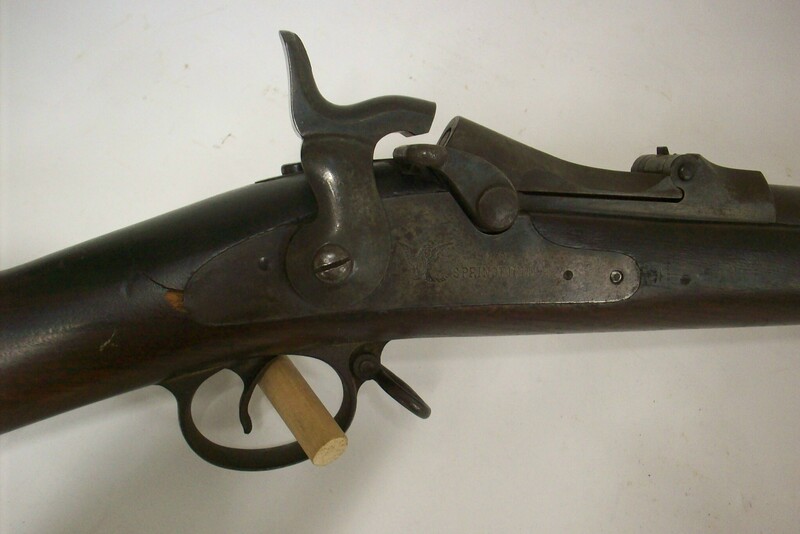 Here is a very nice Colt model 1903 Hammer semi-auto pocket pistol in 38 Rimless Auto Colt caliber w.. 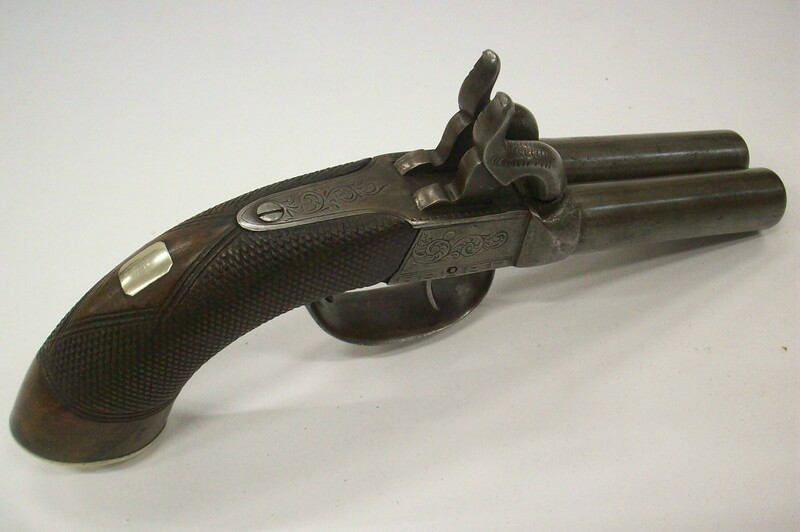 Here is a minty early manufactured Colt Python double action revolver in 35.. 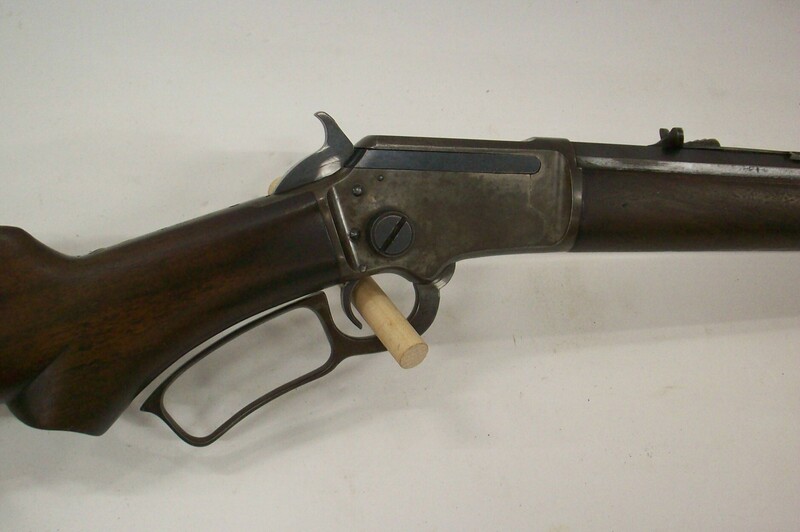 Here is a nice early Marlin model 39 takedown lever action rifle in 22 S, L.. 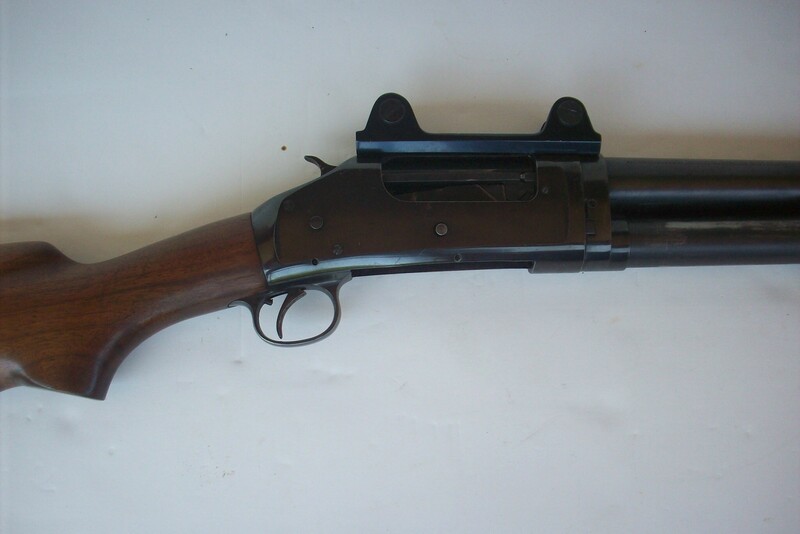 Here is an early Marlin model 444 lever action rifle in 444 Marlin caliber .. 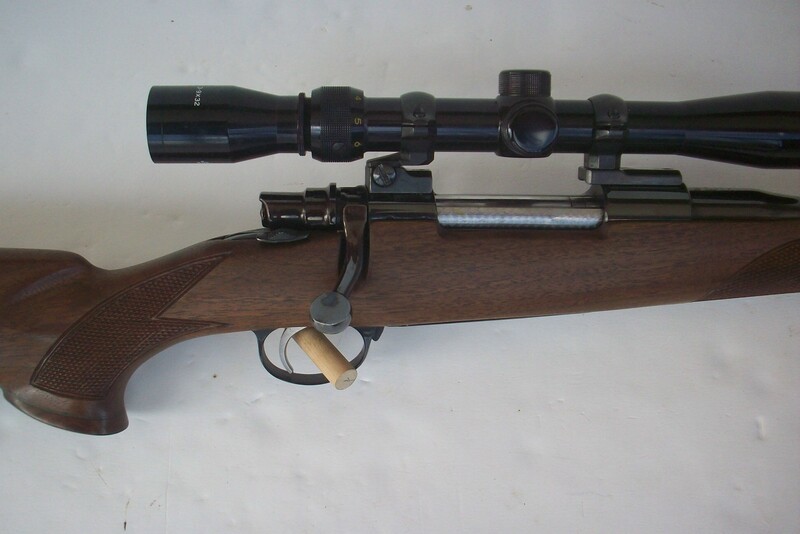 Early Remington Model 700 BDL Bolt Action Rifle in 22-250 Rem. 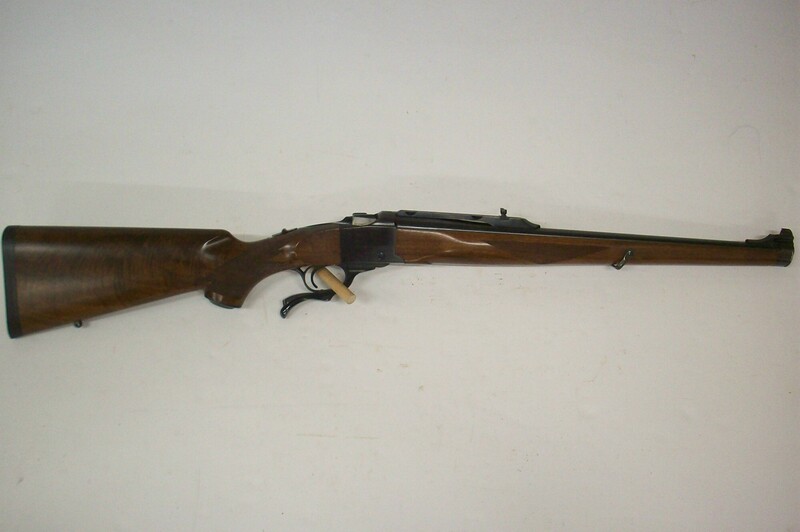 Here is a very early Remington model 700 BDL bolt action rifle in 22-250 Re.. 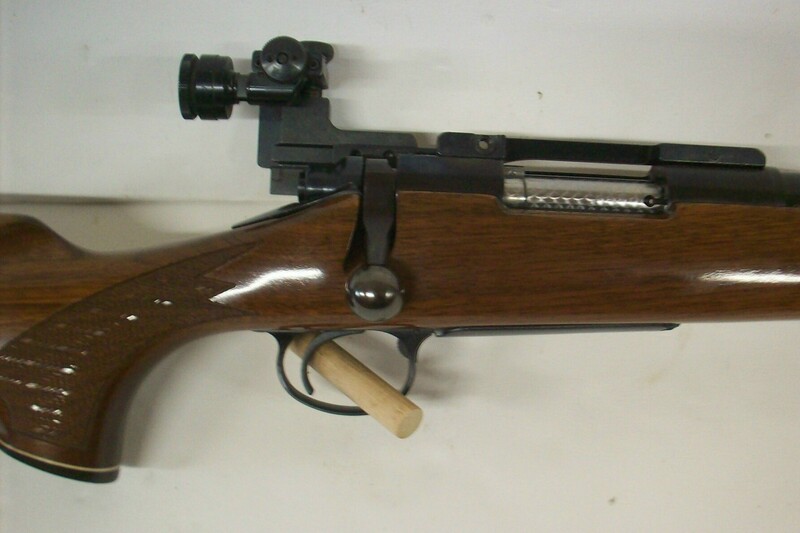 Here is a nice early Steyr model MCA bolt action rifle in 30-06 caliber wit..
F.I.E. Arminius HW7 Double Action Revolver in 22 LR / Mag. Here is a very attractive F.I.E. Arminius model HW7 double action revolver .. Here is a very fine Paul Jaeger custom bolt action rifle on a 1930 dated small ring Mexican Mauser a.. Here is a very fine German P.08 Luger semi-auto pistol in 9mm caliber..
German Weatherby Mark V Custom Grade Rifle in 300 Wby Mag. Here is an early West German manufactured Weatherby Mark V Custom Grade bol.. Here is a Harrington & Richardson model 301 Ultra bolt action carbine i..
Heckler & Koch Model 770 Semi-Auto Rifle in 308 Win. Here is a Heckler & Koch model 770 semi-auto rifle in 308 Win. caliber .. 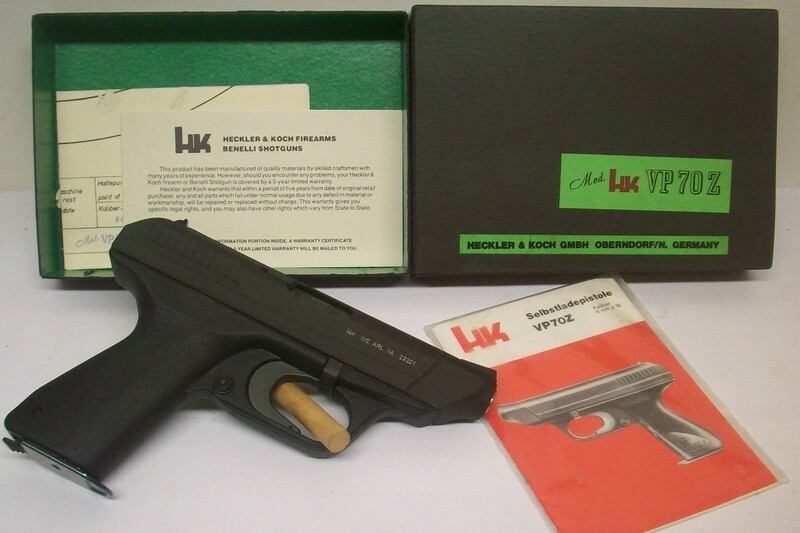 Here is a near new Heckler & Koch VP70Z semi-auto pistol in 9mm caliber.. Here is a High Standard model 103 Sport King semi-auto pistol in 22 LR cali..
Left Handed Remington Model 700 BDL Rifle in 308 Win. 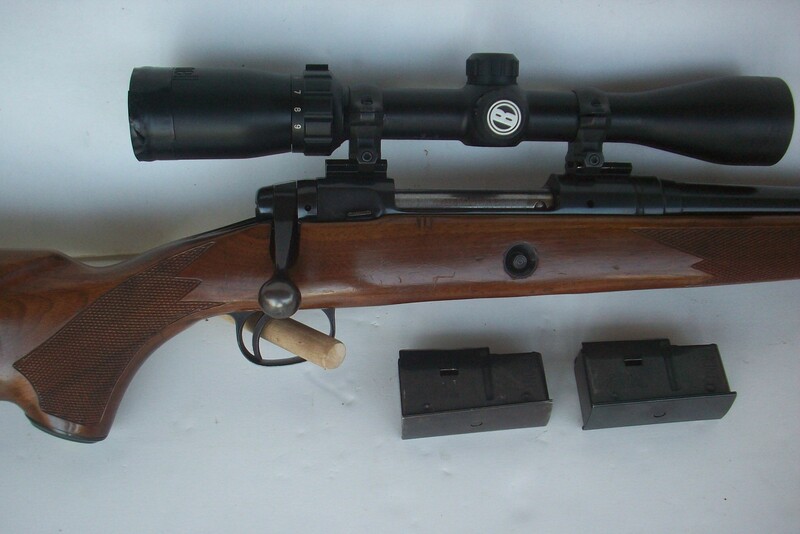 Here is a very fine left handed Remington model 700 BDL bolt action rifle i.. Here is a very attractive and hard to find over under combination gun in tw.. Here is a very fine Marlin model 922M semi-auto rifle in 22 Magnum caliber .. 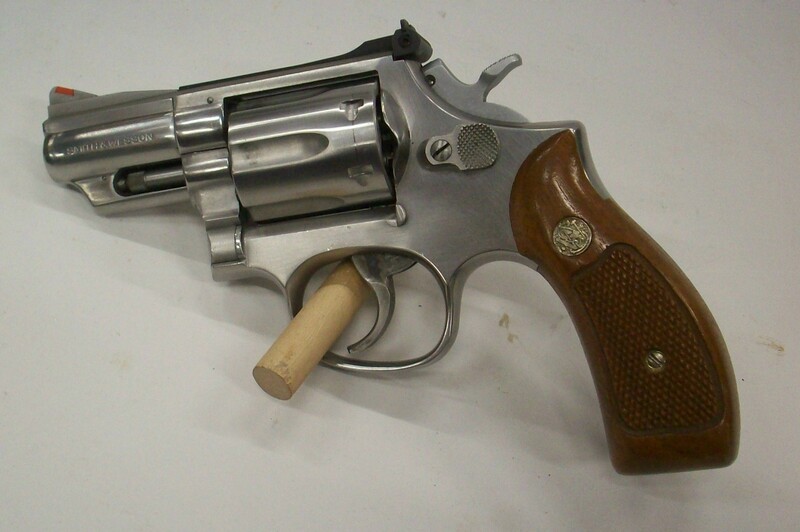 Here is a minty one owner first year of production cased Smith & Wesson model 57 double action r.. Here is a very nice Colt model 1908 Hammerless semi-auto vest pocket pistol in 25 ACP caliber with a.. This is a very nice last year of manufacture Remington model 510 SB Targetmaster bolt action rimfire.. Here is a Colt model 1908 Hammerless Pocket semi-auto pistol in 380 auto ca.. Here is a very fine Colt model 1908 Hammerless semi-auto vest pocket pistol in 25 ACP caliber with a.. 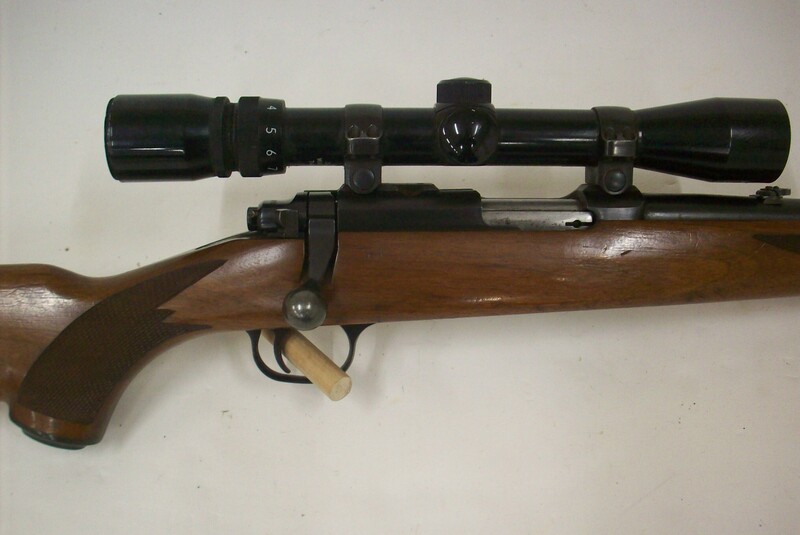 Here is a Remington model 30 Express bolt action rifle in 30-06 Sprg. calib.. Here is a very attractive Remington model 40-X bolt action target rif..
Remington Model 700 DM Mountain Rifle in 280 Rem. 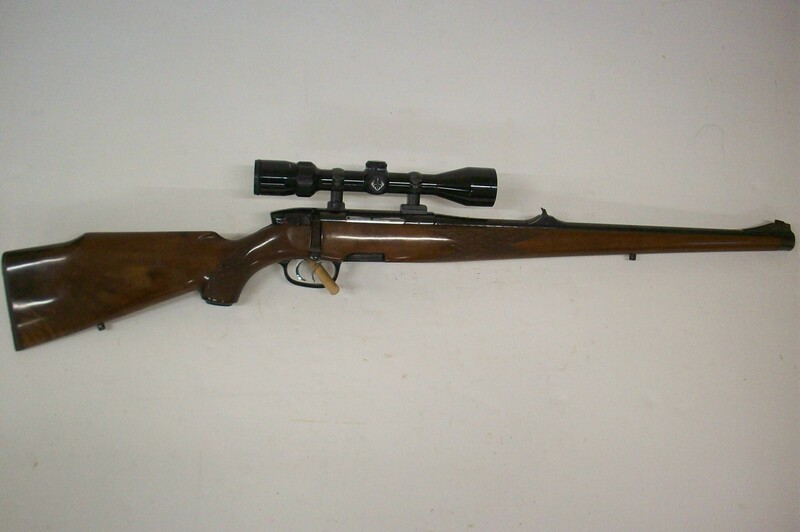 Here is a very nice Remington model 700 DM bolt action Mountain Rifle in 28.. This Ruger manufactured old model 3 screw Single Six single action revolver.. Here is a Ruger Hawkeye single shot revolver in 256 Win Mag caliber with an 8 1/2" long barrel havin.. 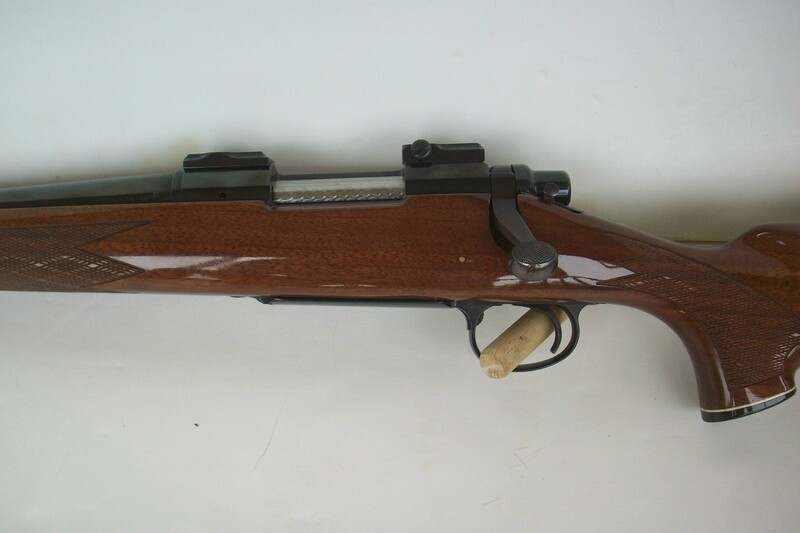 Here is a very clean Ruger model 10/22 RB semi-auto rifle in 22 LR caliber with an 18 1/2" bar.. Here is a Ruger model 77/22 RSM bolt action rifle in 22 Magnum caliber with..
Ruger New Model Super Blackhawk Revolver in 44 Mag. 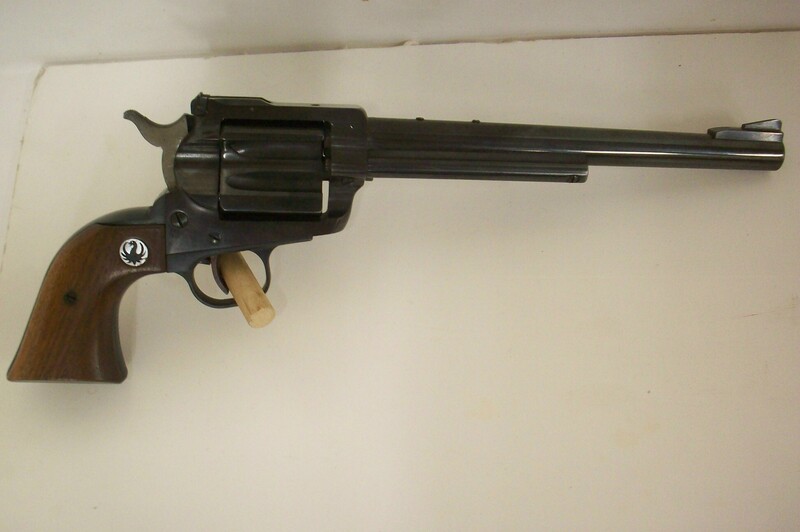 Here is a Ruger New Model Super Blackhawk single action revolver in 4.. 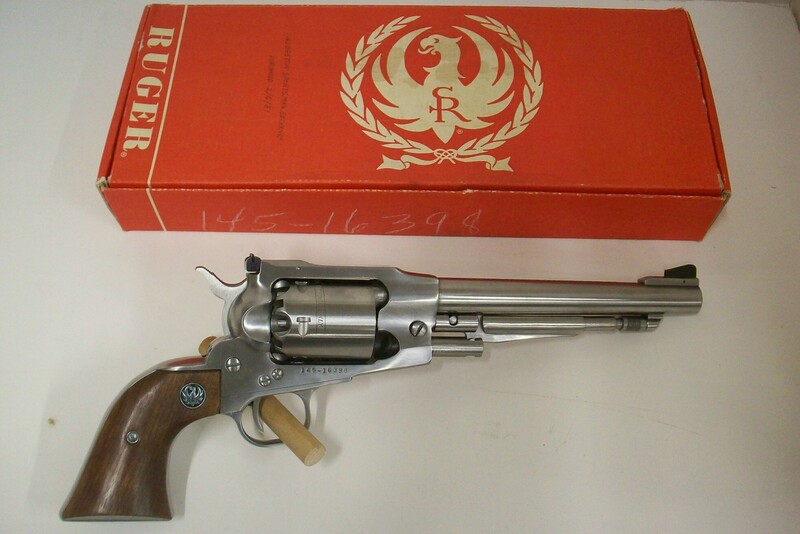 Here is a Ruger New Model Super Blackhawk Hunter single action revolver in 44 Magnum caliber with a .. 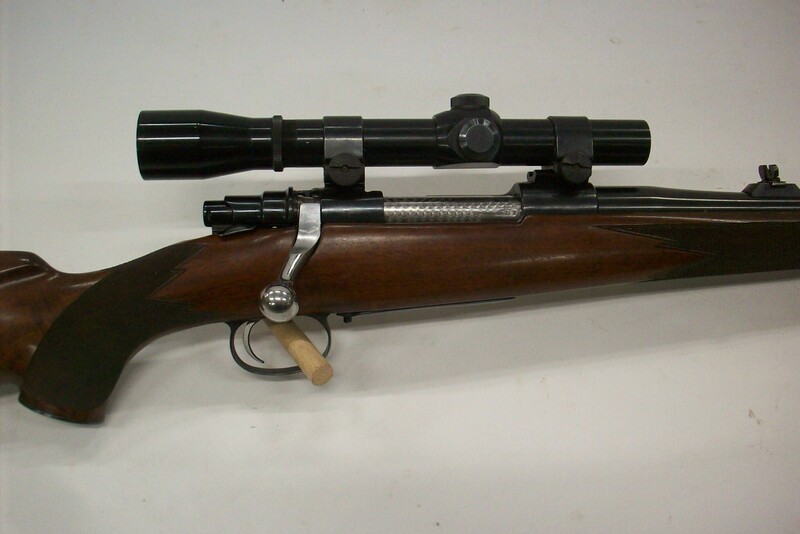 Here is a Ruger No.1 A single shot rifle in 35 Whelen caliber with a 22" lo.. Here is a Ruger No.1 RSI single shot rifle in .243 Win caliber with a 20" l.. 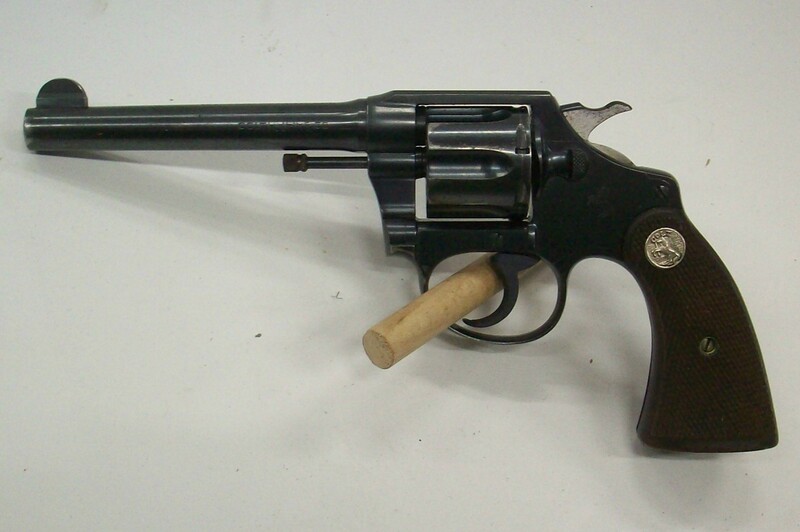 Here is a fine Ruger Old Army percussion revolver in 44/45 caliber wi.. Here is a very nice Ruger RST-6 Mark I semi-auto pistol in 22 LR caliber wi.. Here is a Savage model 110C bolt action rifle in 308 Win. caliber wit..
Savage Model 220 B/A 20 Gauge Youth Shotgun - N.I.B. 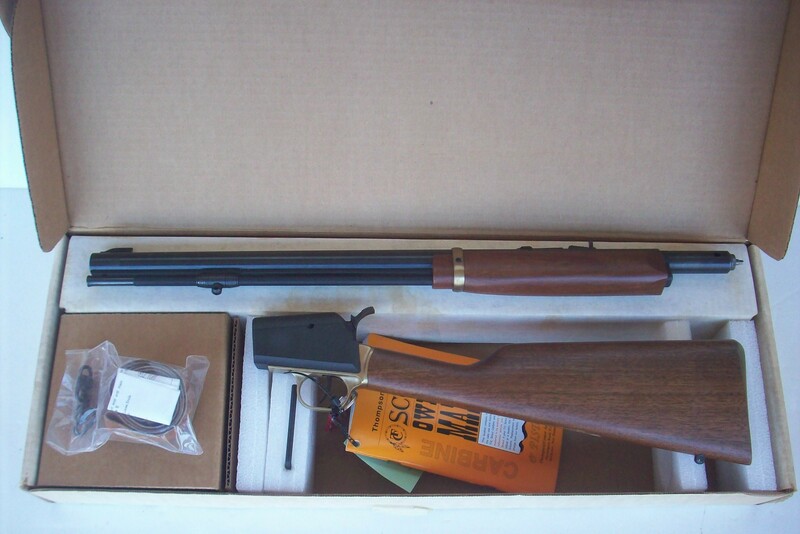 Here is a new in box Savage model 220 bolt action youth shotgun in 20 gauge with a 3" chamber and a .. 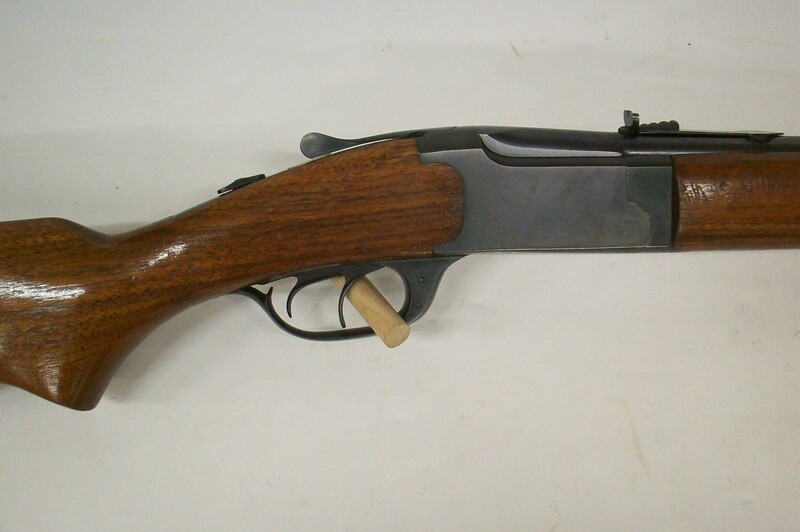 Here is a Savage Model 99-G Deluxe Takedown lever action combination gun in.. 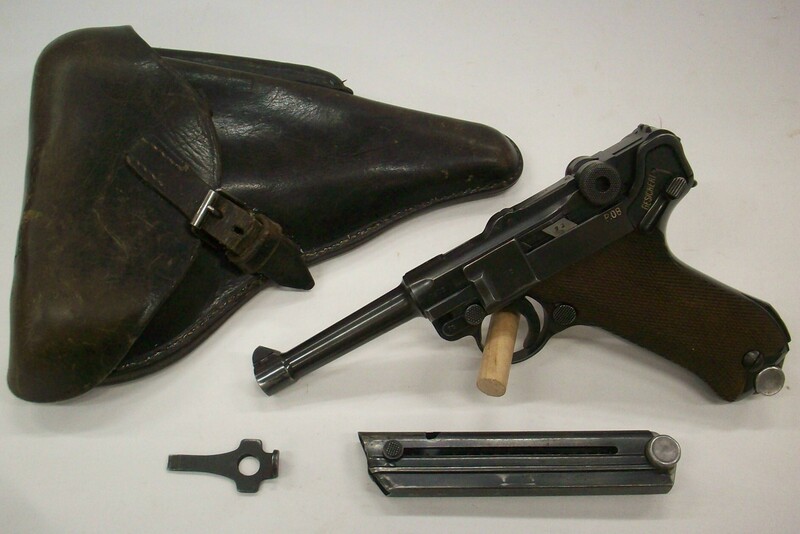 Here is an early Colt model 1908 Hammerless semi-auto pocket pistol in 380 .. 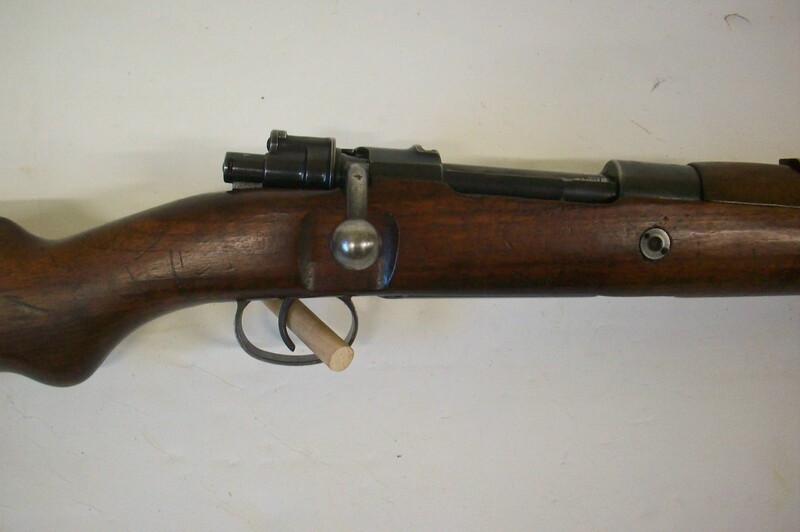 Here is a Siam (Thialand) Mauser model 1903 bolt action rifle in 8mm .. Here is a very nice Sig Sauer P230 semi-auto pistol in 380 Auto caliber wit.. 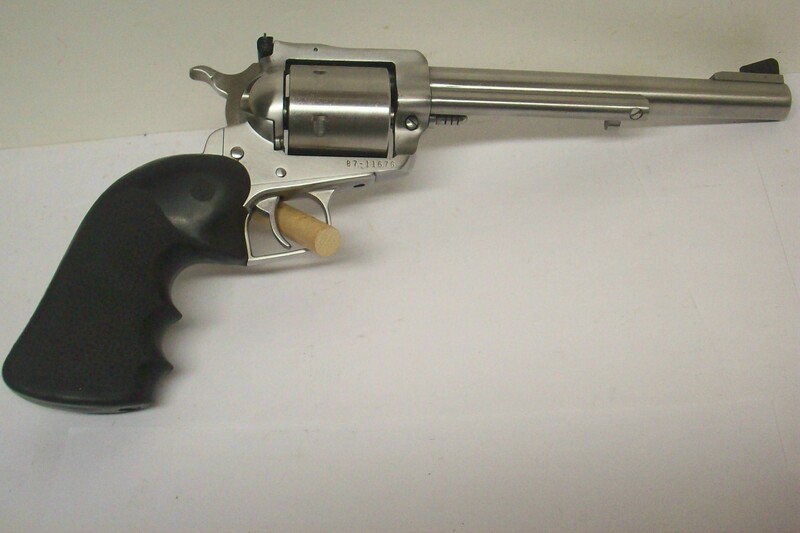 Here is a very nice Smith & Wesson model 19-3 double action revolver in.. 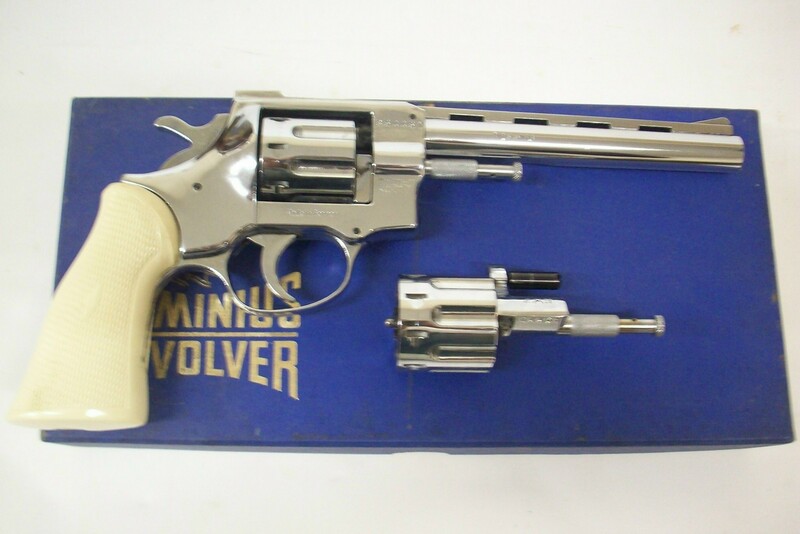 Here is a very nice Smith & Wesson model 51 double action revolver in 2.. 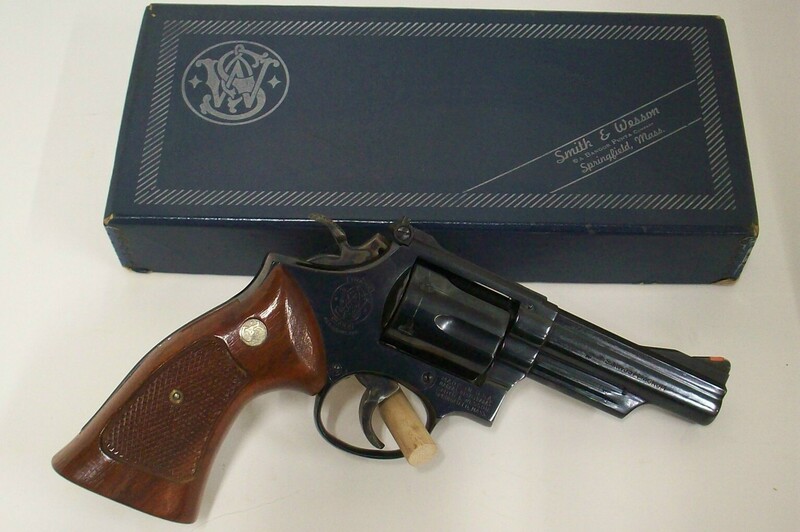 Here is a very fine Smith & Wesson model 66-1 double action revolver in.. Here is a cute little Stevens style Ranger marked double shotgun in 410 bor..
Steyr Mannlicher Model L Bolt Action Rifle in 243 Win. 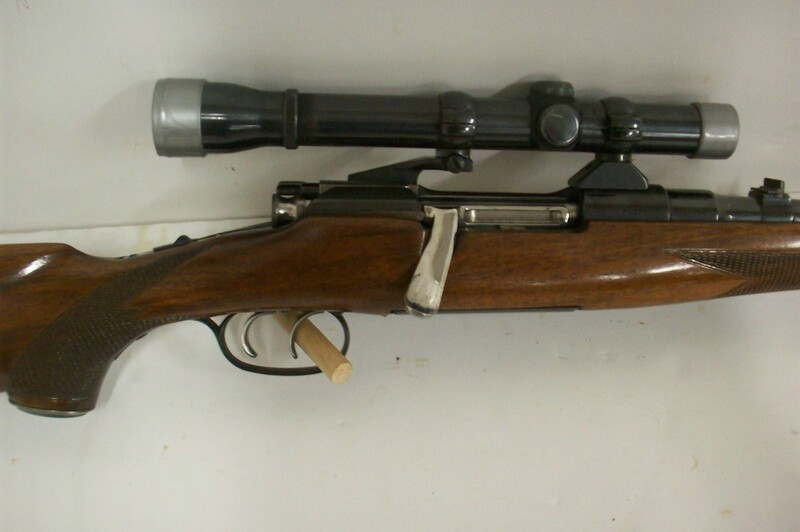 Here is a very fine Steyr Mannlicher model L bolt action rifle in 243 Win c.. Here is a new in box Thompson Center Scout in-line muzzle loading carbine i..
U.S. M1 30 Caliber Carbine by I.B.M. Corp. 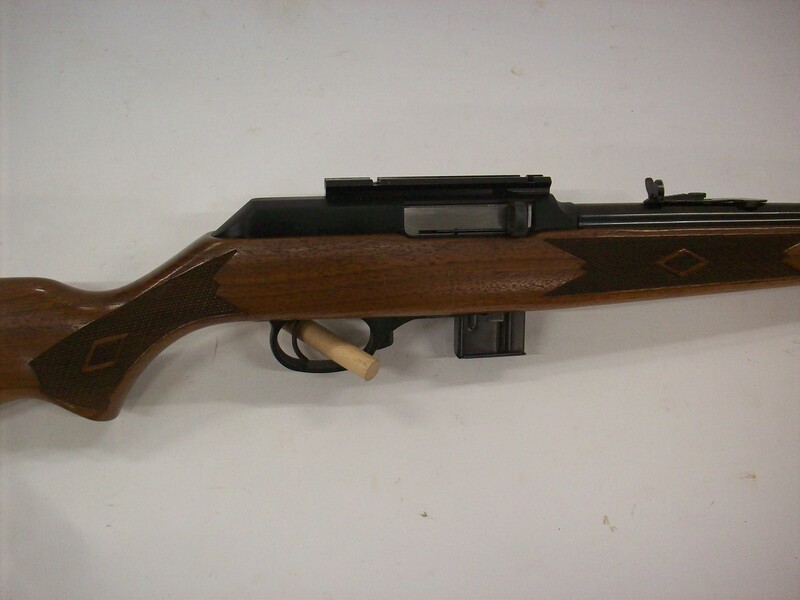 Here is a nice U.S. M1 30 caliber semi-auto carbine manufactured by the Inl.. 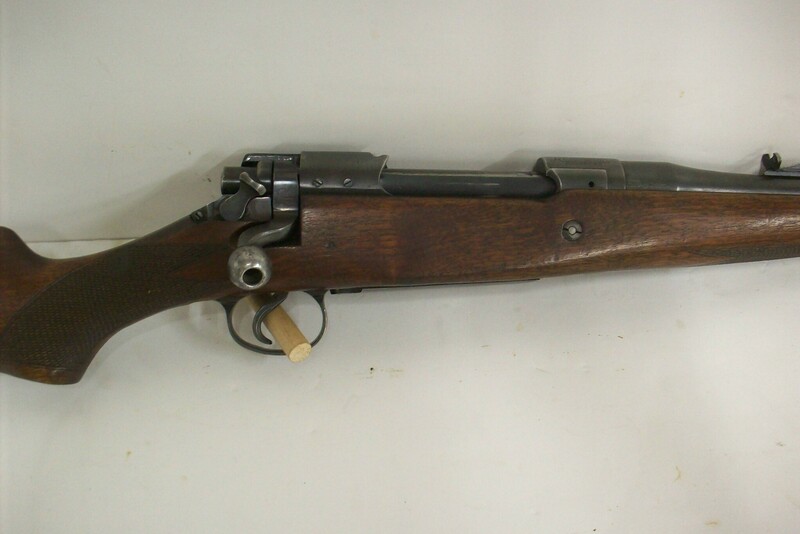 Here is a very desirable U.S. M1 30 caliber carbine manufactured by National Postal Meter. Thi.. 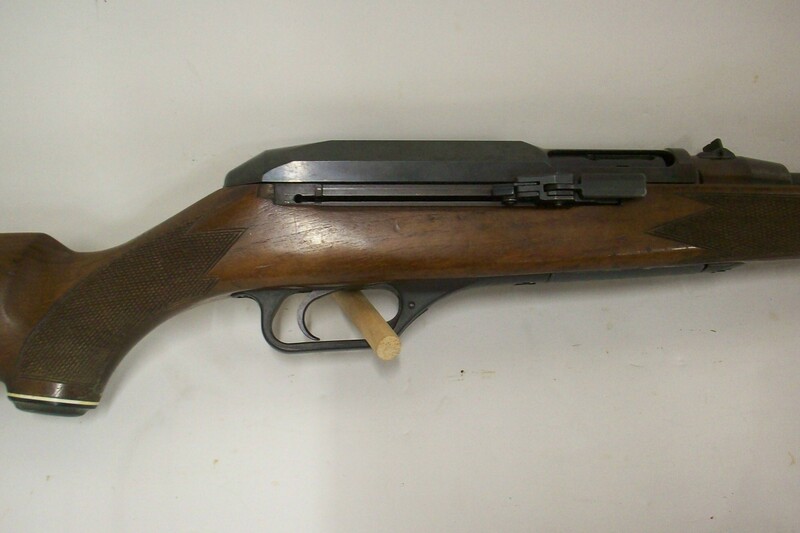 Here is a nice U.S. M1 30 caliber semi-auto carbine manufactured by Q.. Here is a very desirable U.S. M1 30 caliber carbine manufactured by Rock-Ola. This carbine has.. Here is a nice U.S. M1 30 caliber semi-auto carbine manufactured by the Saginaw S'G'. This car.. Here is a U.S. M1 30 caliber carbine manufactured by Standard Products. Thi.. Here is a U.S. M1 30 caliber carbine manufactured by Underwood with m.. Here is a U.S. M1 30 caliber carbine manufactured by Winchester. This carbine has serial #7238.. Here is a U.S. M1 30 caliber carbine manufactured by Winchester. This carbine has serial #1278.. Here is a U.S. Springfield Armory model 1888 ramrod bayonet trapdoor rifle .. 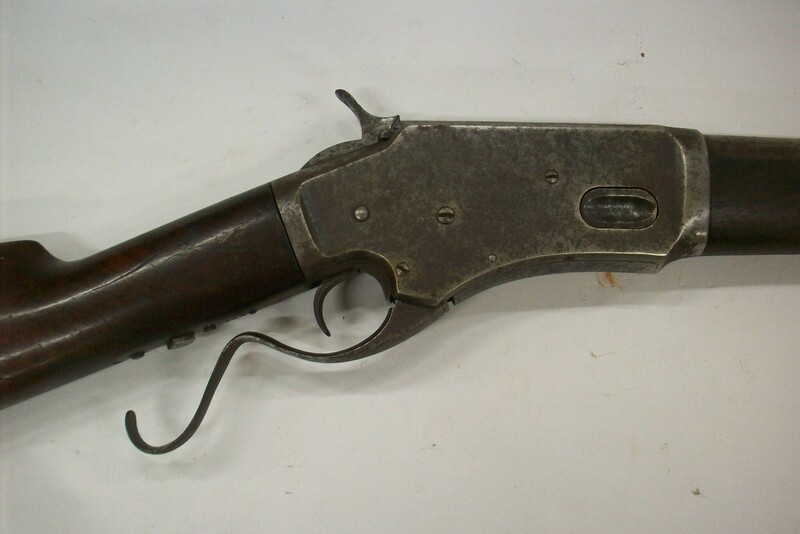 Here is a very fine and early Colt model 1903 Hammerless semi-auto pocket p.. Here is a very fine and early Colt model 1908 Hammerless semi-auto pocket p.. 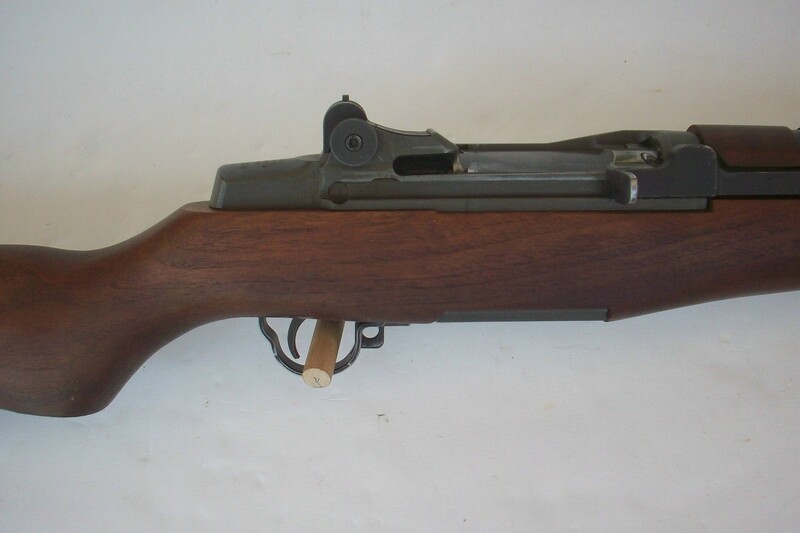 Here is a very nice U.S. M1 Garand semi-auto rifle by Springfield Armory in.. Here is a Whitney Kennedy Small Frame lever action Sporting rifle in 44-40 .. 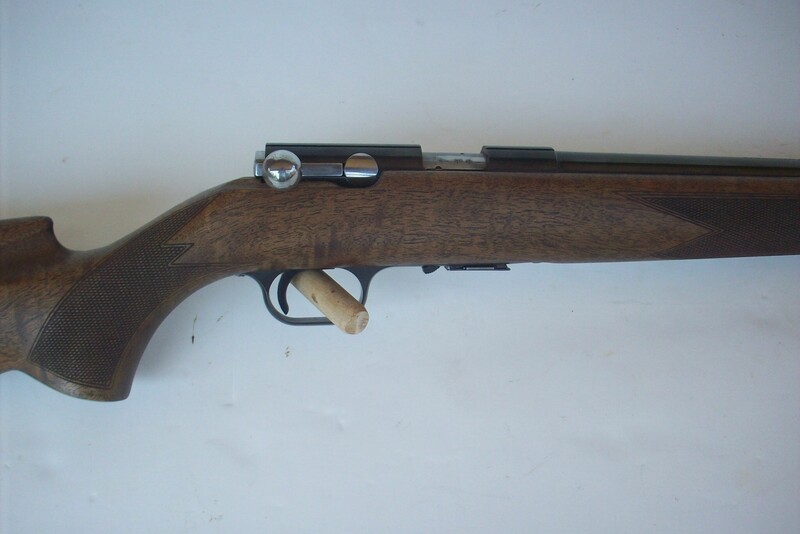 Here is a Winchester model 1300 Stainless Marine slide action pistol grip s.. Here is a very nice Winchester model 77 semi-auto rifle in 22 LR caliber wi..
Winchester Model 88 Lever Action Rifle in 308 Win. Here is a very nice Winchester model 88 lever action rifle in 308 Win..
Winchester Model 94 XTR Big Bore Carbine in 375 Win. 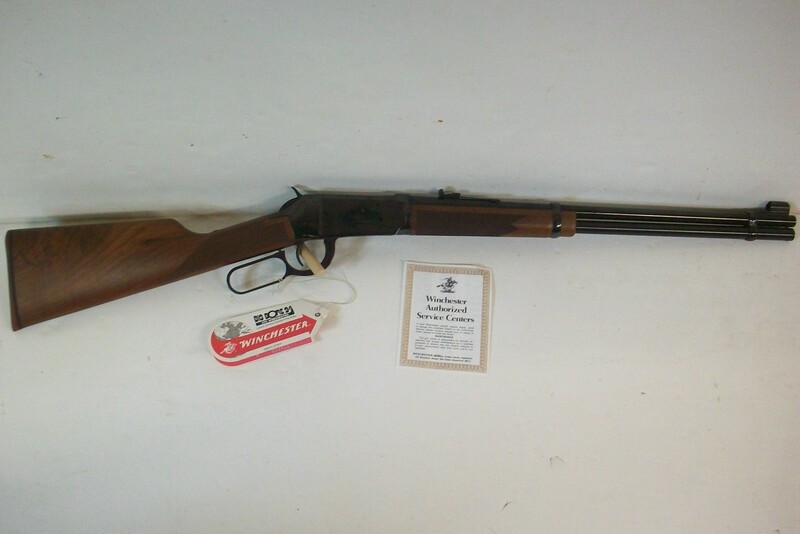 Here is a near new Winchester model 94 XTR Big Bore top eject lever action carbine in 375 Win. calib.. 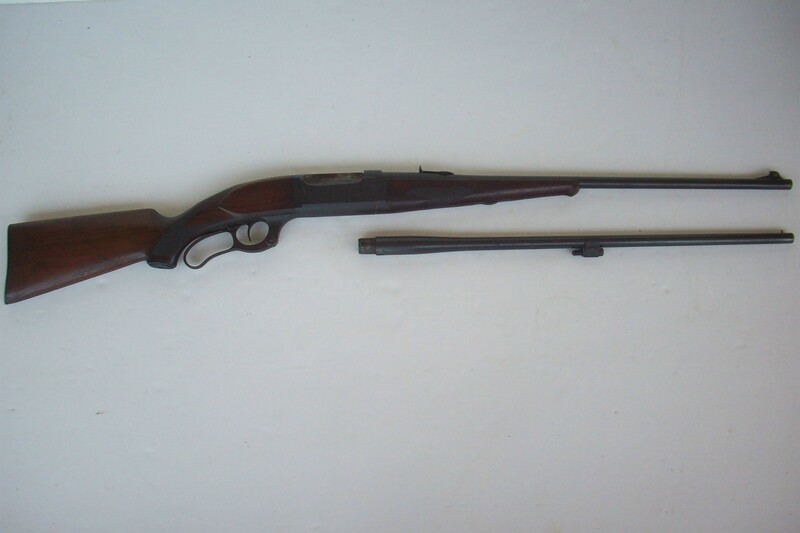 Here is a Winchester model 9422M lever action rifle in 22 Magnum caliber wi.. 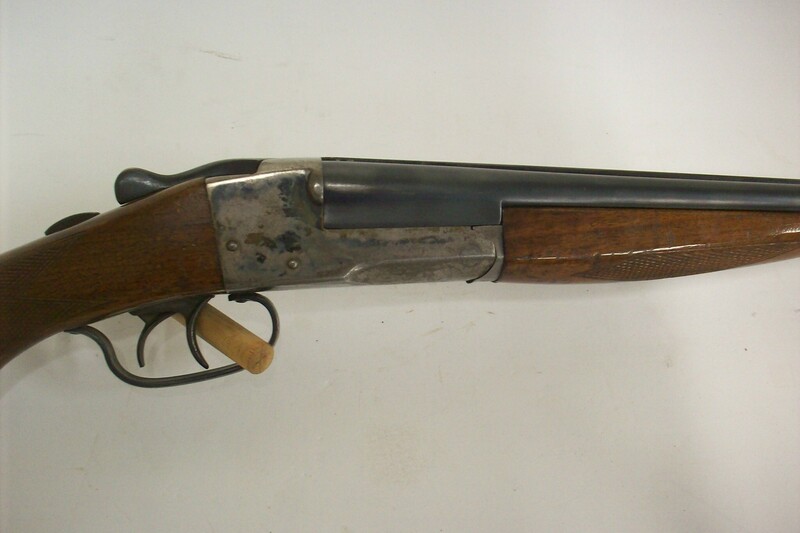 Here is an attractive Winchester model 97 takedown slide action shotgun in .. Here is a very fine World War II German G.33/40 Mauser Mountain Carbi..